Knock Knock Baby: Fertility Breakfast - 12 Grain "Cereal"
Fertility Breakfast - 12 Grain "Cereal"
Just wanted to share this yummy breakfast I've been eating for a while now. It's 12 grain "cereal" (though it looks more like bird food than cereal) and you can get it at Whole Foods or Rainbow Foods, in the section where you scoop stuff out of bins into a plastic bag, write the item # on the twist tie, and pay by the pound. It doesn't look very glamorous but it tastes GREAT when you cook it right, has tons of fiber, and best of all, it gives me a REALLY GOOD ENERGY BUZZ that I just do not get from other breakfast foods. Particularly NOT cereal, which tends to either make me sleepy and wanna crash, or it just makes me feel hungry later. When it's done, it's really good. This is how I make it. Bring to a boil on stove (cook for 5 minutes total). -2 tbsp. 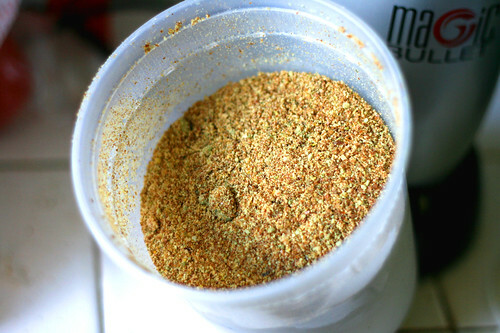 ground flaxseed / pumpkinseed mixture (you can get both from whole foods or rainbow foods and i grind them up in my Magic Bullet that I LOVE). I pour about 1/2 cup of soymilk over the whole thing and mix it all up. It is sooo good! 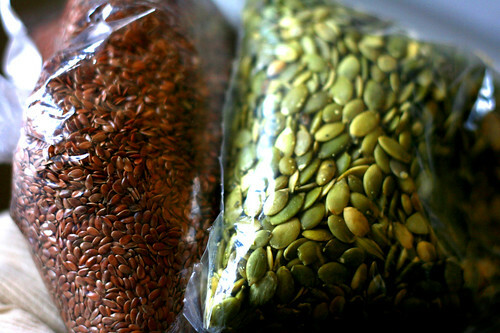 It's really high in fiber and the pumpkin / flaxseed mixture give it a really good nutty taste. I heard from Fern Reiss' book on fertility that it's good to eat pumpkin seeds, and I really don't like the taste of raw pumpkin seeds but for some reason when I blend them up like this, they taste really good! 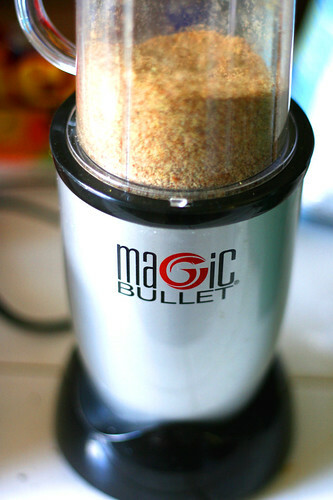 I blend up the flaxseed (which must be ground in order to give you the beneficial effects) and pumpkin seeds in my magic bullet (that I got at Costco for $40 with a coupon... one of my best investments EVER). And I keep the stuff in a plastic container in the freezer (flaxseed goes rancid very quickly unless you refrigerate it). 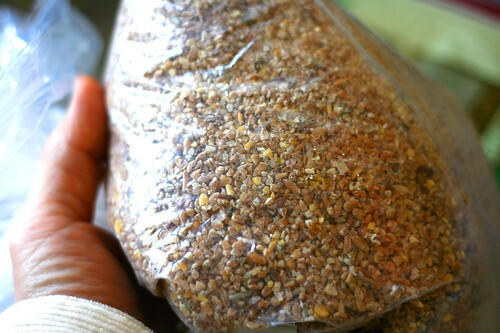 Ground Pumpkinseed / flaxseed mixture, before putting it in the freezer. It's really inexpensive to make this for breakfast and it's soooo good for you. Go try some!